2018 Spring YASH is here! Today, I am hosting Steven Dos Santos on my website for the YA Scavenger Hunt! 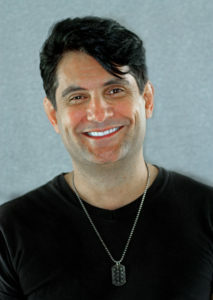 Steven dos Santos is author of THE TORCH KEEPER novels, a Young Adult Post-Apocalyptic series. 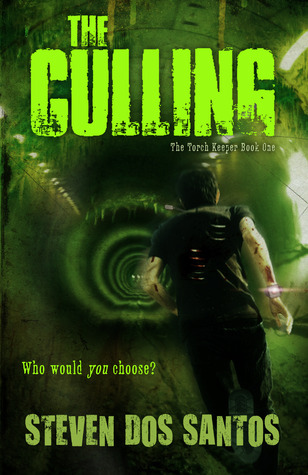 Book One, THE CULLING, was released by FLUX Books in March of 2013, and named an American Library Association 2014 Rainbow List Top Ten Selection. His novel, DAGGER, a Young Adult Paranormal Espionage Adventure, was released by Evernight Teen in September 2015! He is a passionate advocate of LGBT rights. Find out more information on Steven’s website here! This is a deleted/alternate scene in The Culling, when malevolent Slade plunges the Recruits into the Sea, shortly after their first meeting. Originally, the entire second act of the novel depicted Lucian and the gang battling the elements, trying to reach the main compound as one big survival test. During revisions, the middle of the novel evolved into more of a training segment, which made greater sense, given the Recruits lack of military skills. Unfortunately, this little hallucinatory snippet, which highlights Lucian’s love for his mother and brother, Cole, as well as his fears, was lost on the cutting room floor. I somersault through the air. My stomach roils as it struggles to keep up with the rest of me. Then I plunge down the same endless tunnel my mind’s been tumbling through ever since the last time I saw Cole on Recruitment Day, his face growing further and further away the more I reach out to him. Icy needles rip through my skin. Something punches the breath from my lungs. I try to gasp, but my mouth fills with salty ice. So this is what it feels like to drown. Many times I thought death was a visitor to be welcomed, but now that it’s knocking at my door, I want to bolt the lock shut, run away, cower in some dark place where it won’t find me. My body convulses. Each jerk pumps fear into my veins. As the darkness envelops me, my last thought is that I’ve failed my little brother before I’ve even begun. against bright sunshine. I’m in a lush field, painted in the most vivid green I’ve ever seen. Standing as tall as my eyes can see is The Lady from Cole’s story, her torch burning brightly, book clutched to her bosom. She’s staring off at her gleaming city, a skyline of the tallest structures I’ve ever seen. Then she turns her gaze on me. Huge eyes pierce my flesh. I bow my head. Shame washes over me. I’m unworthy to meet the benevolence seeking me out. the Lady’s face. It’s my own mother’s. And nestled in her arm is a baby instead of a book. A baby I know better than I know myself. than a thousand Ladies. Gliding toward me, she looks more beautiful and alive than I’ve ever seen. Her hair is long and full. Each strand imprisons the sun’s rays, unlike the scraggly gray patches that came away with each caress as she lay dying on that weathered cot. Her cheeks swell with pink, not sunken and pasty. But it’s her eyes that touch me the most. They’re vibrant and warm, filled with traces of something I’ve barely glimpsed in my sixteen years, let alone on my mother’s face. Is that hope she’s looking at me with? losing Cole, let her know I can’t go on without her. I can’t go on alone. But she continues to beam at me, holding out the baby. When I look back up at my mother, she’s gone, as are The Lady, the City. Everything. In panic, I turn back to the bundle in my arms, and find only an empty blanket. He’s gone. Cole’s gone and I’ll never see him again. The bright day surrenders to dusk, then night. And don’t forget to enter the contest for a chance to win a ton of books by me and several more authors! To enter, you need to know that my favorite number is 19. Add up all the favorite numbers of the authors on the green team and you’ll have all the secret code to enter for the grand prize! I’m also hosting a giveaway on my blog! Use the Rafflecopter form below to enter to win a $10 Starbucks gift card, Swag from my new book, and a bookish decal from my Etsy shop! 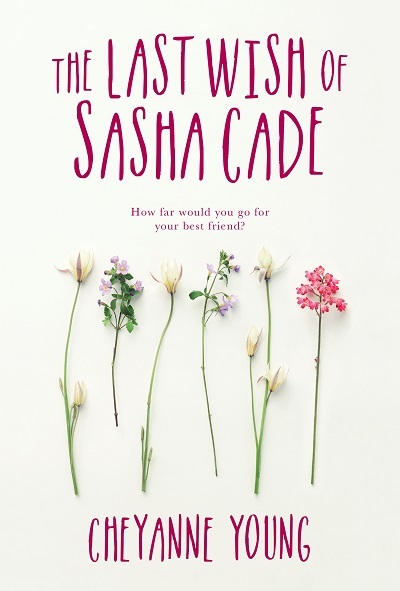 The Last Wish of Sasha Cade ARCs are here!